How do you send the reset signal to the RTS through minicom? Becuase I’d like to automate it in a bash script (e.g if the phone hangs accidently while working without supervision). RTS stands for Request To Send. This is normally set by the device (modem/phone) for the host (PC or USB to UART converter) to indicate it has data it wants to send. This is only used for hardware flow control. You can set in minicom in “configuration” (CTRL-A, O), “serial port setup” to enable hardware flow control. Then the PC would set CTS (Clear To Send) and the modem would start sending data. I do not use this signal on the osmotoserial though. I use the DTR (Data Terminal Ready) signal to control the power of the phone. You can pulse/toggle it manually in picocom for example, or automatically using stty. But this is if you have access to the serial port. I use osmocon to flash the phone, and osmocon exclusivity uses this serial port, forbidding external control. Thus if the phone is stuck, I simply terminate and restart osmocon. This closes the serial port and re-opens it again. The result is that DTR will also be toggled twice (except for FTDI chips), thus resetting the phone. Obviously this also happens per default if you open the serial port using any other program. Practically if the ME gets stuck, you just reload the fw with osmocon, without phisically turning off/on the ME itself. Yes. 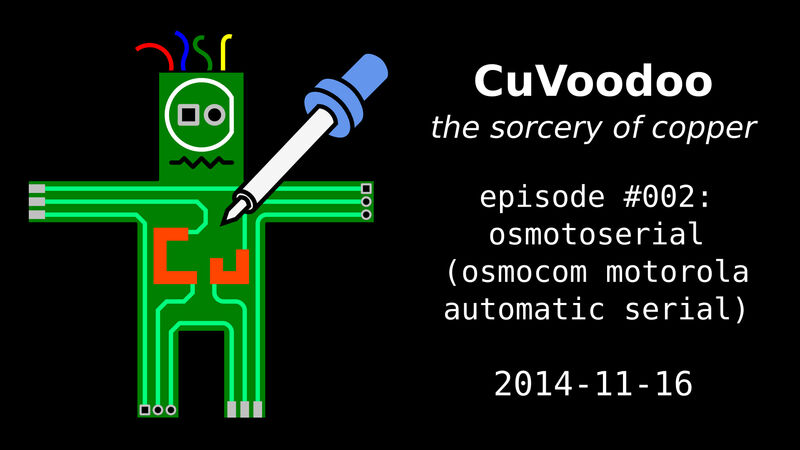 If you use this osmotoserial board, restarting osmocon will reboot and reflash the phone automatically. I know about eurocircuit and wetterot. Their work is good but the price is also quite higher than in Asia. They still take one to two weeks, if you don’t pay even more. For such a simple simple board I would rather recommend to make it yourself (toner transfer, or photoresist) if it’s time critical. I am going to insert in a order to digikey all parts from the BoM. Sadly 785-1569-5-ND is out of stock. If I order this AOI518 TO-251A  should be the same I guess. Or TO-251A != TO-251B ? Yes, sadly 785-1569-5-ND is out of stock, and end of life. I try to use parts which are available in large quantity in my bill of materials, but it seems I failed here. Even worse, the data sheet link is broken and the manufacturer does not list this transistor any more. That is a quite bad behaviour and I won’t use any parts from Alpha & Omega in future. Luckily you found some stock of this component on aliexpress. You’ll have to be more precise with your question. Improvement over what? What is your goal? As the osmocom article says, the filter replacement allows you to sniff the uplink. Else you can’t. But the osmotoserial board has nothing to do with this rework! The right place to ask your question would be the osmocomBB mailing list.